I was impressed with Mt. 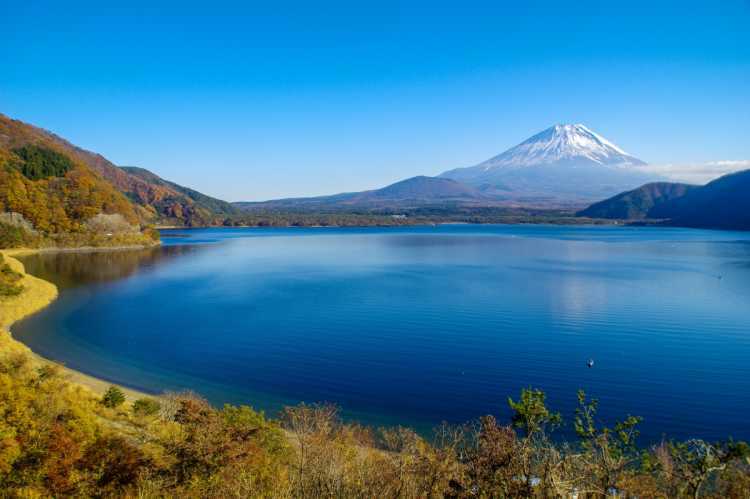 Fuji and a whole view of great nature at Motosu Lake. The beautiful blue color of the lake is one of the biggest highlight. If you visit in the good season, you can see Diamond Fuji (Mt. Fuji with the sun located at the top of it) here.